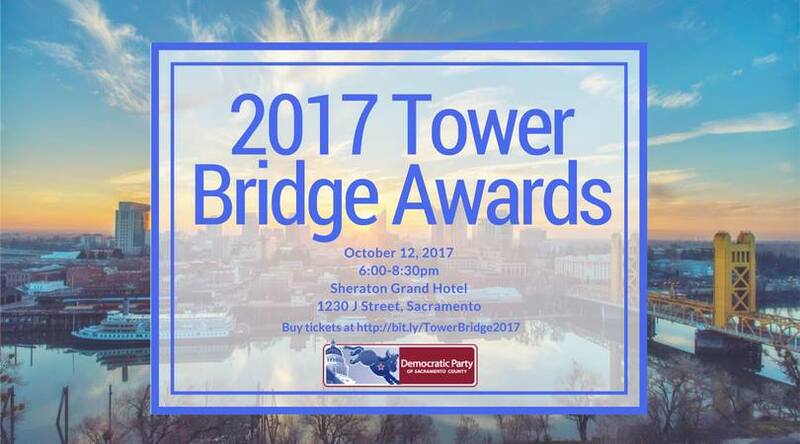 Join the Democratic Party of Sacramento County for our annual Tower Bridge Awards dinner! With your generous support, we will make Sacramento County bluer in 2018 by supporting local candidates where it matters the most. We are also committed to significantly expanding voter registration and turnout as Sacramento County implements the Voters Choice Act, a lofty but important goal that we cannot achieve without the support of our Democratic allies throughout the region.